Africa University is constantly pushing the envelope in forming cross- sectoral linkages between industry, government and institutions of higher learning in an effort to drive new innovations, new policy spaces and new ways of doing business that benefit all sectors and ultimately the people of Zimbabwe and Africa. AU counts itself as a member of the esteemed Confederation of Zimbabwe Industries (CZI) that to date has over 300 members and counting from captains of industry in the telecommunications, manufacturing, retail, forestry, mining, beverages and dairy sectors. He went on to add that the silo mentality of operating in isolation is a pervasive problem in industries across the continent and a paradigm shift in the collective psyche of those who drive development needs to occur. Also attending the event were former president of the Republic of Botswana Retired Lieutenant General Doctor Seretse Khama Ian Khama, the Provincial Minister of State for Provincial Affairs Honourable Judith Ncube, Dr. Jesimen Chipika, Deputy Reserve Bank of Zimbabwe Governor among other high level Chief Executive Officers and Chief Operating Officers. AU has generated numerous interest in the corporate world as a partner of choice for cross- sectoral cooperation in areas ranging from youth development, agricultural mechanisation, and utilising the institutions infrastructure and strong support of research as a key driver of innovation to overcome challenges in the manufacturing process that include energy, packaging and leveraging technology to accelerate productivity. The CZI is the apex lobbying organization for industry that presents key areas of concern, opportunities and areas of potential growth in the manufacturing sector of Zimbabwe. The CZI goes a step further in offering an interface for communication between business and government in other areas that might be relevant to both players. The inclusion of universities into the CZI comes from the Triple Helix model of development that is currently used expansively in some of the largest economies of the world where the emergence of the knowledge economy encourages a mind- set shift from government, big business and institutions of higher learning that have previously operated independently and instead pushes for the synergy of the three essential bodies. This model has given rise to some of the most ground – breaking innovations with the best known example being Stanford University which played a key role in the development of Silicon Valley reinforced by government support targeted towards research and development. 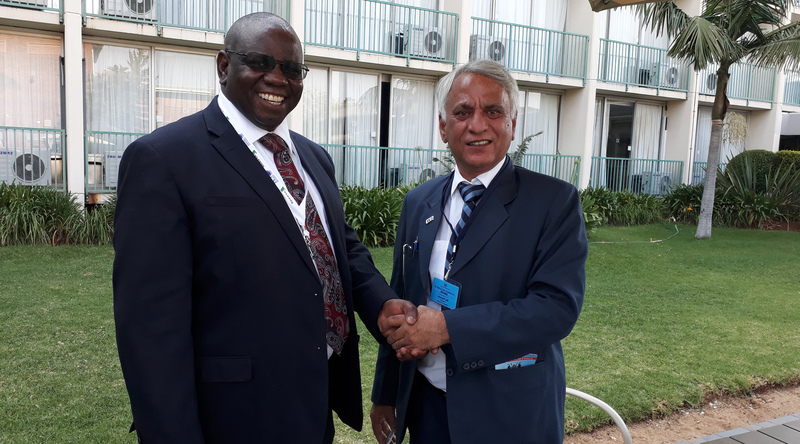 Africa University was a proud sponsor of this years’ CZI congress demonstrating the university’s commitment to the national body and determination to contribute towards rebuilding the country’s economy in line with the drive to see Zimbabwe achieving middle- income status by 2030.